GreenSeasons has built its reputation on quality work, trust and dependability. We have been building and maintaining beautiful landscapes and gardens in Louisiana for years. 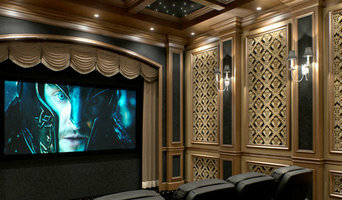 Baton Rouge locals, Adam and Maryjo Ostrowe established the lighting showroom in 2010. As they began searching for lighting options for their own renovation, they were challenged with finding unique lighting. This void was the catalyst to opening their own lighting showroom. Already owners of Cajun Electric, an electrical contracting firm, the Ostrowes felt providing lighting fixtures was a natural extension of their business. All fixtures in the showroom are personally selected by Maryjo and her showroom manager, Bridget Tate. Here you will find unique lighting in a variety of styles and finishes that will define your space with your own personal style. At 1500 Government Street in Baton Rouge, Louisiana you will find both the electrical contracting firm and the lighting showroom under one roof. The lighting showroom is showcased beautifully downstairs, while Adam manages the electrical business on the second floor. 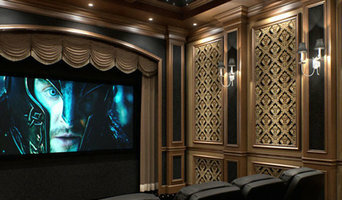 From selection to installation we offer personal, friendly, and professional service. Many property owners in and around Baton Rouge have come to depend on skilled landscapers who possess the ability to turn almost any property into a work of art. Not only will the trained crew at Landscape Baton Rouge make your exteriors look great, but we'll also safeguard the fitness and well-being of all plants and grass on the property. We really enjoy what we do for a living, so you can count on our courteous, dedicated team to give you service with a smile. We'll come up with a customized landscaping plan that will showcase the positive attributes of your property and bring out its latent possibilities. Going forward, we'll make ourselves available to maintain your lawn, garden, and other spaces to keep them in great shape. We take pride in the high quality of our work. Landscape Baton Rouge is locally owned and operated in Baton Rouge, LA. Feel free to give us a call to set up a time for our detail-oriented landscapers to work on your yard. Lolly's Gardening provides landscaping in Lafayette, landscape design and landscaping supplies. We offer delivery of landscape materials and services. As well as providing irrigation in Lafayette including sprinkler system installation and irrigation repairs. Although Bizzy Bee Lawncare, LLC is the new landscaping company on the block, we come prepared. If you’re looking for quality customer service and skilled lawn care professionals, your search ends with Bizzy Bee. Stop coveting your neighbor’s grass – you, too, can have a lush green lawn complete with bursts of color. 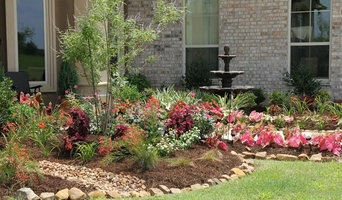 Call us at 337-251-3314 to schedule your flower bed design and yard maintenance. Commercial and residential electrical contractor serving Baton Rouge and the surrounding areas. Sergeant Electric is an owner/operated company, where the owner supervises all projects and works on several. Rustic Lighting Concepts and Design was established in 2016. The concept, to bring beautiful Rustic lighting to consumers at an affordable rate that "big box" stores can not match. Mass manufacturing reduces quality, personality, and overall character of a product, so RLC&D handcrafts EVERY product, and reaches out personally to the individual customer for customizing their design specifications. Custom orders for ideas of products that may not be in our store are welcome. Contact us at rusticlightdesign.com, Facebook, or email us at rusticlightdesign@gmail.com for any quotes or questions regarding your order.